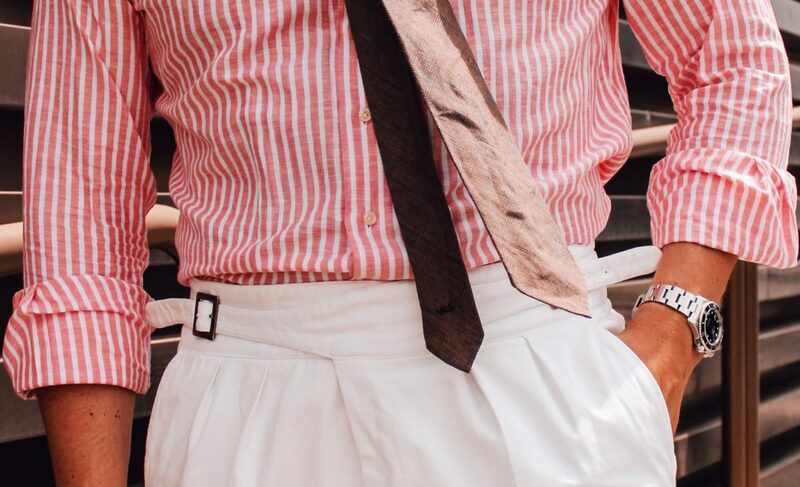 The other day I browsed through the articles of well known Style connoisseur and sartorial spokesman Permantstyle, and came across a rather interesting article. 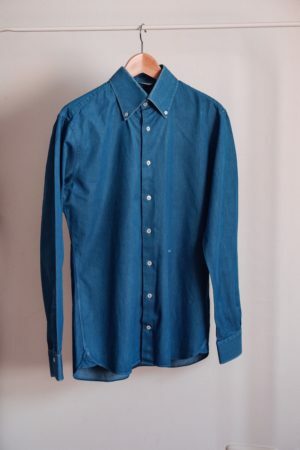 The article mentioned a shirt guide and which ones should be in your wardrobe. Lets see what I thought of that. By no means am I going to say that I know best or that my options are better. In fact, Mr. Crompton (an expert in his field) hit the must-haves spot on! Which made me think what my wardrobe has and that is what I would like to share with you. No introduction needed… Every one should have at least 2 (no not one, but 2) in their wardrobe. I say this because, it is likely to be the most used option in your wardrobe which works for both elegant and casual styles. A few variations are always nice in order give the rather smart looking white shirt a few twists. I would always try and go both ways. 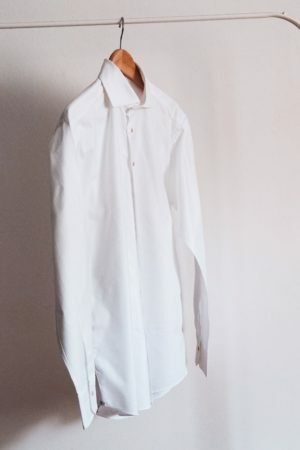 What I mean by that, although the white shirt is the ultimate business attire, I find you can easily pair it with jeans and even shorts for a super laid back look. Go for an elegant option with a kent collar and perhaps even double cuffs for an uber elegant occasion or classic sport cuffs with a cut away collar that would work both in a business environment or out with friends. 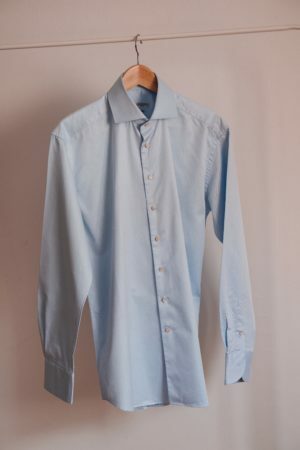 Whilst you should always have a white, you should also have a blue shirt in your wardrobe too. Next to the white „always a good choice“ shirt, the light blue is a great alternative if you want to add a subtle color. For example, wearing a grey suit can sometimes look very serious and „old“, however, add a light blue shirt and maybe a colored tie and you are able to switch up the overall look and make it more interesting without making a fool of yourself at work. In fact, a blue shirt is so versatile that it will come into action quiet a bit with your well thought out wardrobe. You will be amazed how many simple looks you can create. Personally, my favorite shirt to date. I have tones of stripes at home, acquired over a period of time and I am happy to report, I wear them all and often. It is, to my personal opinion, the most versatile shirt you can have. You might ask why, I mean you could wear white? Yes you could, but maybe a little pattern will spark up your day on a dull Monday morning. You never know what it may do to you. If we talk color, definitely go for a light blue stripe for starters. Once you have grown more confident, go for dark blue, brown maybe even a red in order to slowly go into your casual wardrobe pieces. Stripes people… get some stripes. The shirt that has made the most impression in the last years in sartorial menswear must be the denim shirt. Always recognized as a rustic cowboy essential produced by Levi’s or Wrangler, the fabric has made its moves into a more formal menswear staple piece. If you go on to TheRake, you will even find tuxedo shirts made in denim. Crazy Right?!? Now, to me a denim shirt should come in two collar ways, either button down or cut away. Both collars can be paired with a tie and look great on their own. On the other hand, my personal preference states, a denim shirt should never come with double cuffs, piccadilly collar or any other sprezzatura detail. It is already significant enough as it is. If you want “different”, wear your suit with a Levi’s denim shirt and open the buttons to your belly button and you have “different”. A checked shirt, in Germany, is most commonly recognized with a pair of Lederhosen and worn on Octoberfest (Beerfest, wiesn… whatever you wanna call it). These checks mostly come in dark blue, red, racing green and are bold in pattern. However, it can be worn elegant and smart/ casual IF you keep 2 major things in mind. The size of the checks should be rather small, more subtle than visible. Second, the fit is crucial! 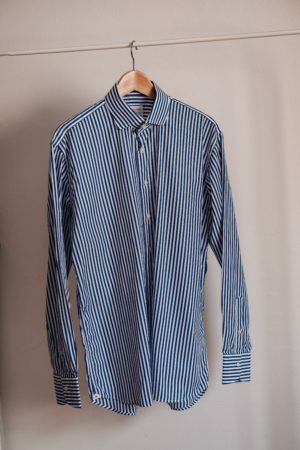 Whilst this is indeed a more casual shirt, it often makes the most significant move once it fits well and is worn under a plain blazer and perhaps in support of a white pocket square and a silk tie. Try it out, you will be amazed! Keep in Mind: Small checks and good Fit! In conclusion, these shirts are by no means the end to your wardrobe problems. Through my personal experience, I found that these shirts have been repeating themselves and have often changed the way I dress. We humans, change and adapt. Due to constant new styles, colors of the season and ever evolving patterns, it is hard to come up with solid pieces that last you a long, if not lifetime. I have spoken about 5 shirt patterns, all coming in different styles if preferred to and that I, personally, made my experience with. I believe it is always a good idea to find inspiration and see what is new. You will be amazed what patterns and styles can work for you. Let me know what you think of my choices? Would you add any or switch some for others?